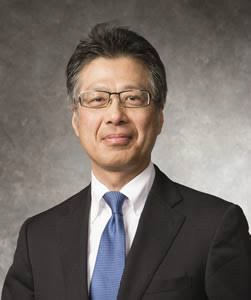 I had the honor of interviewing Kaz Hirao, CEO of CDI, a Fujifilm company. In this interview, we explore the strengths of CDI, its acquisition by FUJIFILM Holdings Corporation, and its future trajectory. Cade Hildreth: Prior to your involvement with CDI, you were in a leadership role at FUJIFILM. What was your role there? Kaz Hirao: I have served as Chairman and Chief Executive Officer of Cellular Dynamics International (CDI) since June 1, 2015. I previously served as business development manager of FUJIFILM’s pharmaceutical division from 2013 to 2015, where I had responsibility for the M&A transactions and licensing activities in the global markets. At FUJIFILM headquarters, I held international leadership and management roles for global business operations, including the non-destructive test business director of the industrial products division from 2010 to 2013 and senior operations manager for business development and global governance of the electronic materials division from 2005 to 2010. My current vision is to serve patients worldwide by driving innovations in the use of iPSC technologies in drug discovery. Cade Hildreth: That is an impressive background. What was the importance of FUJIFILM’s acquisition of Cellular Dynamics International (CDI) in March of 2015? What synergies do you see for the two companies? Kaz Hirao: In the context of FUJIFILM and diversification of its business portfolios, healthcare businesses are an important piece, because all countries in the world have seen a significant increase in the need for patient healthcare solutions and medical costs. FUJIFILM is focused on resolving these kinds of problems. We have a strong commitment to our healthcare business in the future. With the acquisition of CDI, FUJIFILM gained entry into the area of induced pluripotent stem cell (iPSC) based cell discovery, development support, and services to businesses. Through this acquisition, FUJIFILM acquired critical cell technology and science. FUJIFILM also plans to benefit from the synergistic combination of CDI’s cell technology and FUJIFILM’s production engineering for high-volume cell manufacturing. As you may know, iPS cell culturing has still not reached the high-volume stage, so this represents an excellent opportunity for us to combine our strengths and core technologies to achieve that solution, among other goals. As I explained, J-TEC is a strategic asset, because it has a tremendous depth of knowledge and “know how” surrounding cGMP facilities, since it invented the first regenerative medicine products that have been launched within in Japan. It is very important for CDI to get into the area of therapeutic products, and we can accelerate this by aligning it with strategic and technical resources present within J-TEC. Our goal is to position CDI to comply with regulatory agencies across the world. Therefore, FUJIFILM’s acquisition of CDI has positioned CDI to substantially expand both its life science and therapeutic areas. Cade Hildreth: Cellular Dynamics International (CDI) was one of their earliest players in the induced pluripotent stem cell (iPSC) market and remains a dominant global player. What are its differentiators within the marketplace compared to other stem cell providers? Kaz Hirao: CDI’s core patented technologies and “know how,” including cell reprogramming, genetic profiling, and differentiation, have resulted in over 14 different iPS cell types, as well as an extensive range of disease models and cell lines. CDI has established scalable, highly purified, reproducible iPS cell products. This success has not yet been materialized by any other market player worldwide. Now, CDI has obtained FUJIFILM’s capital, engineering technology, and healthcare assets to facilitate research involving iPS cells and technologies. For CDI, FUJIFILM’s capital is particularly important, because iPSC-based therapeutic development will take an extended period of time to develop, at least 10 years. During that decade, CDI will require strong capitalization, and FUJIFILM’s clear vision to pursue regenerative medicine businesses makes it a very important partner. Cade Hildreth: CDI has chosen to focus exclusively on the iPS cells and their derivatives. What was the reason for this focus on iPS cells to the exclusion of other stem cell types? Kaz Hirao: Through innovation in cell therapy and drug discovery development, iPS-derived cells can deliver tremendous benefits for patients and researchers. I would like to explain separately the cell therapy and drug discovery applications of iPSCs. First of all, I would like to address the cell therapy applications of iPSCs. We are aiming for reasonable cell therapy costs for patients through allogeneic therapies by applying HLA homozygous iPS cells. At CDI, we have started establishing an HLA iPSC bank and cGMP facility already. This is a very important social role for FUJIFILM. Additionally, in 2014 approximately $3 trillion dollars of medical costs were incurred in the United States, which is around 17.6% percent of GDP. That is projected to increase to $4.2 trillion in medical costs by 2025, which would be around 20% of GDP. This projection presents a tremendous increase in the cost of medical care within the U.S.
To increase the quality of life for human beings, we need to minimize those kinds of medical costs and fees. At FUJIFILM, we strongly believe that iPS cell therapy is a key solution to this problem, making the reduction of healthcare costs an important role of HLA homozygous iPSCs. Secondarily, to facilitate drug discovery development, CDI aims to provide researchers with required cell types, including cells with different gene and disease backgrounds. One of the key characteristics of iPS cells is that we can make “disease in dish” models, allowing us to develop new drugs that can facilitate the introduction of personal or precision medicines. This will further drive cost reductions across the drug development and discovery process, which is now an extremely costly process for pharmaceutical companies. Cade Hildreth: How would you describe Cellular Dynamics’ patent position within the iPSC marketplace? What has been the importance of focusing on intellectual property (IP) development for CDI? Kaz Hirao: CDI has approximately 900 patents that provide our customers with “Freedom of Operation,” which is a major goal for us. Importantly, CDI has worldwide exclusive rights for a process that involves a standard blood draw to extract blood cells in a minimally invasive procedure, followed by the use of episomal vectors to introduce genes into these cells that we know can achieve the safe and efficient generation of iPS cells. Currently, these reprogramming patents represent the strongest part of CDI’s patent portfolio. These three strategies are now broadly used around the world, making it highly valuable that CDI holds the exclusive right to these technologies worldwide. Also, CDI was the first company worldwide to license key patents surrounding iPSC technology from Dr. Yamanaka at the Center for iPS Cell Research and Application (CiRA) at Kyoto University, as well key patents from Dr. James Thompson at the University of Wisconsin-Madison (the “WARF patents”). We also added other important patents which are used for gene engineering and differentiation and structured this patent portfolio to allow our customers “Freedom of Operation,” which we believe it is our responsibility to provide. Cade Hildreth: 900 patents is extremely impressive. What markets does Cellular Dynamics International (CDI) serve and how would you describe your client breakdown? Kaz Hirao: CDI serves the drug discovery, toxicity, safety and pharmacology, bioengineering, and release testing markets. The release testing market may not be familiar to you. The release testing market means that an iPS cell assay is used to assess efficacy prior to releasing a drug product. Animal (mouse) models have historically been used for this application, but iPS cell assays can reduce the cost and time required to determine drug’s efficacy. Importantly, human iPSC-derived cells and tissues also provide a more relevant conversion from animal-to-human based models. By working together with pharmaceutical and bioengineering companies, government and academic research laboratories, patient advocacy groups, and a variety of commercial partners, we have dedicated ourselves to curing diseases and improving the quality of life. I would like to highlight our involvement with patient advocacy groups because this is a significant driver that supports CDI’s development of iPSC-based therapeutics and research platforms. As an example, we are currently aiming to develop dopaminergic neurons and disease models in collaboration with the Michael J. Fox Foundation. This foundation is trying to create around 90 different disease samples. Using these disease samples, CDI established iPS cells and differentiated them into neurons. These kinds of assets will soon be available to researchers all over the world to explore and solve disease problems. This kind of activity is critical to CDI because patient advocacy groups are deeply dedicated to solving disease problems and willing to invest funds to support new and novel innovations. We believe our future objectives and goals can be synergistically shared with these advocacy groups, providing a driver for us to expand the iPS cell market. Cade Hildreth: Although it is unusual to give such priority to patient advocacy groups, it is extremely intelligent. CDI recently announced that it was re-aligning into two separate business units, a Life Science business unit and a Therapeutics business unit. What was the importance of this announcement? Kaz Hirao: Yes, we created two separate business units to better serve our customers. CDI’s Therapeutics unit will develop stem cell-based drugs, and our Life Science business unit will focus on research products. By creating a market-oriented organization, our operations in Madison, WI, can grow much more quickly, because the time horizon to the market for each of these businesses is different. Consequently, separating the business units is an effective way for our team to focus on what they should do to maximize their productivities. Before splitting into two divisions, we faced some difficult decisions regarding when to prioritize one business unit over the other due to these substantially different time horizons. We have a strong intention to grow the life science field quickly, but we also understand that it takes longer to develop therapeutic products. To address these different time horizons, we decided to separate CDI into two separate business units. Cade Hildreth: Another recent announcement that caught my attention was that CDI announced it had launched Opsis Therapeutics to develop cell therapies for retinal disease. How did CDI decide to pursue that opportunity? Kaz Hirao: Yes, in September FUJIFILM added to its regenerative medicine capacity by setting up a new venture, Opsis Therapeutics. It is focused on discovering and developing novel medicines to treat retinal diseases. This venture is a partnership with Dr. David Gamm, who is the pioneer of iPS cell-derived retinal differentiation and transplantation. Acquired and inherited diseases of the retina, such as age-related macular degeneration and retinitis pigmentosa, affect tens of millions of people worldwide. However, there are currently no therapeutic options available that can broadly mitigate or restore the permanent loss of vision these conditions can cause. We launched this new venture because we see a promising variety of new approaches to treating retinal diseases. For example, over the past decade, it has become feasible to generate new photoreceptors from induced pluripotent stem cells and transplant them into the diseased retina. Our goal is to build on this progress, developing new therapeutic strategies and ultimately improve the standard of care for patients impacted by retinal diseases. We are committed to solving these unmet medical needs by applying iPS cell-based technologies to increase the human quality of life. Importantly, his program is supported by the advocacy group “Fighting Blindness,” which is an advocacy group that supports cell-based innovation as a strategy for reversing vision loss. Cade: I understand that you have spent a good deal of time in both Japan and the U.S. Japan has a unique regulatory environment, compared to other regions of the world. What is the importance of collaboration between American stem cell companies and Japanese partners? Kaz Hirao: Yes, let me briefly explain what happened in Japan. In 2014, Japan exercised two new acts. One is the Act on the Safety of Regenerative Medicine and the other one is the Pharmaceuticals and Medical Device (PMD) Act. The aim of the first act was to accelerate the clinical application and commercialization of innovative regenerative medicine therapies. It covers clinical research and medical practice using processed cells and specifies the procedure required for clearance to administer cell procedures to humans. These guidelines are very important to the use the cells within clinical stages. Similarly, the PMD Act introduces a specific regulatory framework for regenerative medicine products. Under the PMD Act, conditional and time-limited marketing approval can be given to a regenerative medicine product after exploratory clinical trials have demonstrated probable benefit and proven safety. Under these new laws, once a company has demonstrated safety and basic efficiency data in humans and has the cell product manufactured to the standards described within the Pharmaceutical and Medical Devices (PMD) Act, the cell therapy can be given conditional approval for up to 7 years. This allows for commercial use with data reporting requirements and potential for national insurance coverage. This safety data can subsequently be used by non-Japanese participants, which is a massive benefit to foreign companies, such as those located in the United States. More specifically, the regulatory environment in Japan provides companies with the unique opportunity to “fast track” a clinical trial and seek approval of a new cell therapy product within the Japanese market. This has made Japan a “gate country” for developing innovative cell therapies with the potential to address major unmet medical needs. As mentioned, it has provided a powerful opportunity to American companies, because they can benefit from fast-track applications by doing clinical testing within Japan and subsequently developing its cell therapy across the rest of the world. Numerous American and Australian companies are now pursuing this strategy, as well as companies from other regions worldwide. Cade Hildreth: What are the strategic advantages that Cellular Dynamics International (CDI) has over other stem cell companies? Kaz Hirao: There are key three points that provide CDI with a strategic advantage. The first one is FUJIFILM’s financial resources, which are very stable and strong. The second one is Fujifilm Group’s technology assets. This includes not only the technology assets of only J-TEC itself, but also FUJIFILM’s film technology because there are crossover technologies that exist between film technologies and the types of scaffolds/substrates that can be used for the growth of cells. The third asset is our partnership capability because it is impossible to solve all problems within a single company. We need lots of technology and science assets from others to combine together in order to derive solutions to complicated, difficult problems. Therefore, we believe FUJIFILM’s partnership capabilities are a very important asset to CDI. Cade Hildreth: What are your five-year goals for Cellular Dynamics International (CDI), a FUJIFILM company? Kaz Hirao: I have separate five-year goals for CDI’s Life Science and Therapeutic units. For the Life Science business, we would like to introduce novel iPSC-derived products to dramatically increase patient safety and reduce drug development costs over the next five years. Our goal is to facilitate “bench to bedside” type drug development. In addition, we want to create an ecosystem for iPSC-based research by providing standardized and reproducible cells to researchers to significantly increase research productivity. Although reproducible and standardized iPS cells are very important to researchers, small research labs commonly create their own iPSC-derived cells. It can be difficult to correctly read the data produced across different institutes because the characteristics and qualities of the starting material are different. Therefore, it is CDI’s goal to solve those kinds of problems by creating standardized cells which can be the same for all researchers, such that the data produced can be compatible. We will aim to create this kind of cell ecosystem within the next five years. For our Therapeutic businesses, we will aim to file investigational new drugs (INDs) with the U.S. FDA for the “off-the-shelf” iPSC-derived allogeneic therapeutic products. Currently, we are focusing on retinal diseases, heart disorders, Parkinson’s disease, and cancers. For those four indicated areas, we would like to file several INDs within the next five years. First, we have our iPS cell-derived retinal derived cell program, which is running together with the National Eye Institute to explore dry age-related macular degeneration. The research is going well, and we are expecting to file an IND application in 2018. As we discussed, CDI recently formulated a new venture, Opsis Therapeutics. Through this partnership, we are expecting to file another IND around 2019. This program is also going well and running on track for this timeline. Finally, we are now negotiating with several KOLs and pharma companies to develop products for other indication areas, including heart disorders, Parkinson’s disease, and cancers. Cade Hildreth: Thank you for sharing your vision of CDI with our audience. It has been my honor and pleasure to do this interview with you today. In your opinion, how will the FUJIFILM acquisition of CDI affect the stem cell marketplace? Share your thoughts in the comments section below.